Floral prints are timeless and never go out of style, and rocking them in your home decor is a chic idea. 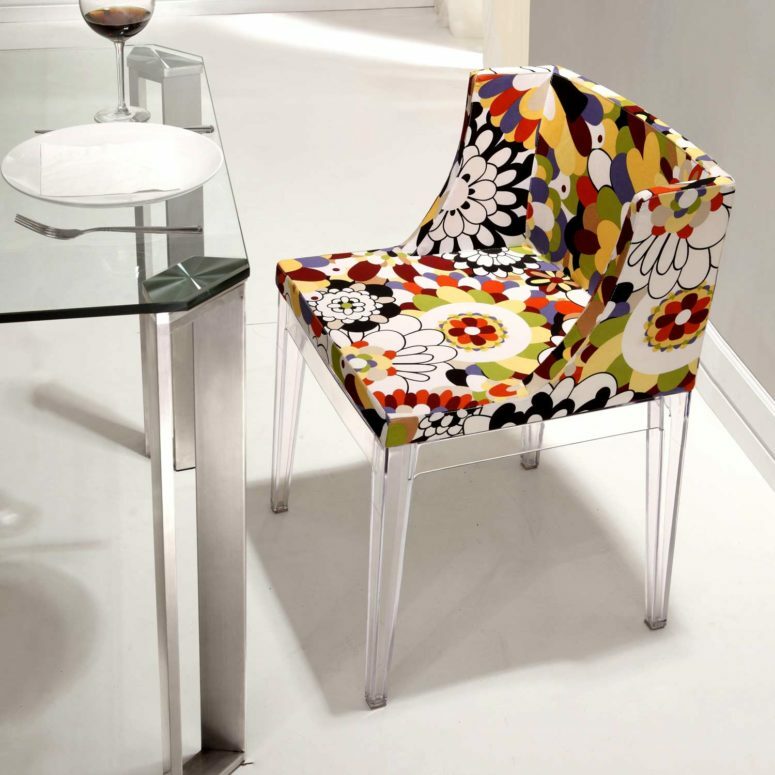 You can do that with this amazing floral chair – the Pizzaro Dining Chair! 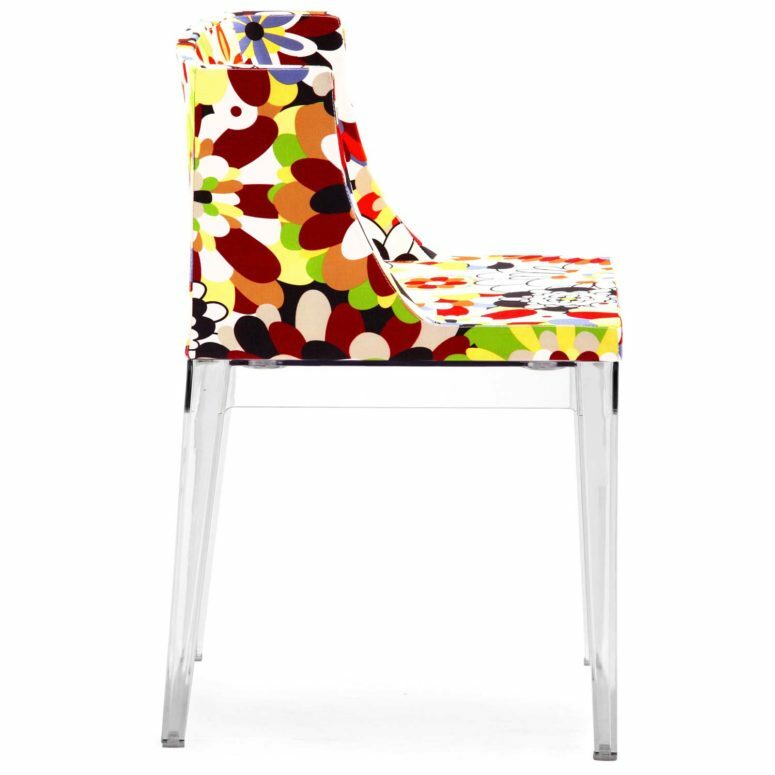 With splashes of vibrant color and 1960s inspired retro floral patterned upholstery, the Pizzaro Dining Chair combines modern design with artistic style to your living space. This funky chair is fully covered in a soft fabric upholstery padded with plush cushioning. 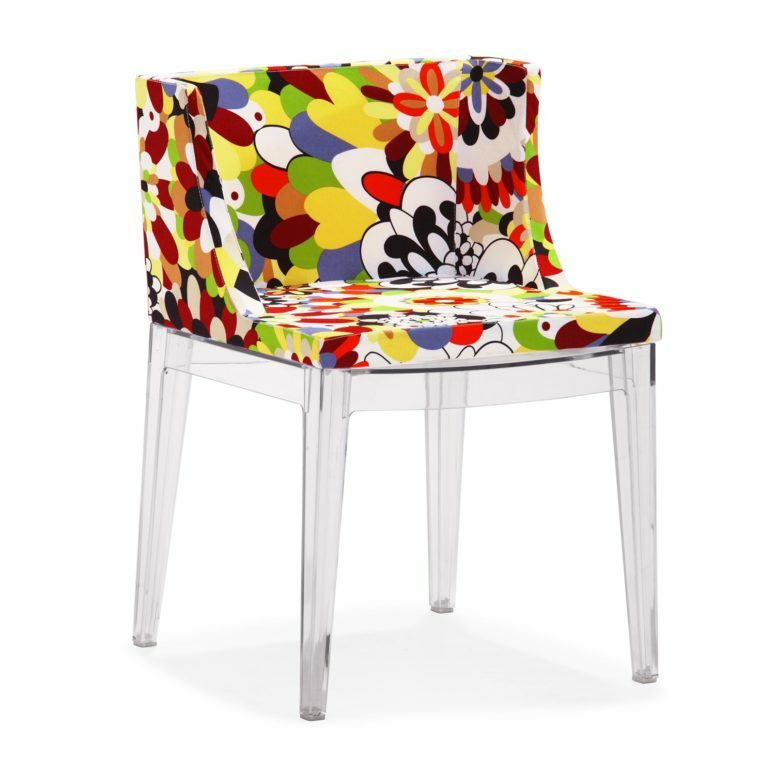 The pattern is like a mixture of pop-art with a classic floral motif found in Spanish and Italian design. It features a transparent polycarbonate base and legs really amping up the vivid and colorful design of the seating. Its straight lined backrest and sloping arched armrests contrast beautifully with the bold oval and circular shapes on its upholstery pattern. The eye-catching colors can serve as a wonderful accent space especially to spruce up a dull or neutral toned color palette. It can be used as a dining chair or in an office space, when paired with glass, metal or other acrylic or polycarbonate furniture, it becomes an attention grabbing masterpiece to feast your eyes on. The Pizzaro Chair is a functional, inspiring and ultra modern design that is like a contemporary work of art all on its own!